Professor Haddad's clinical and research endeavours have centred around hip and knee reconstruction. His interests include joint preservation after trauma and sports injuries, bearing surfaces, implant fixation, periprosthetic infection and outcomes assessment in hip, knee and revision surgery. His broader work also encompasses strategies to preserve and regain musculoskeletal health; he led the musculoskeletal team at the London Olympics 2012, was instrumental in setting up the National Centre for Sport & Exercise Medicine and has recently been awarded International Olympic Committee Centre of Excellence status at ISEH. He has presented and published widely on key aspects of hip, knee and sports surgery including over 300 peer reviewed publications. 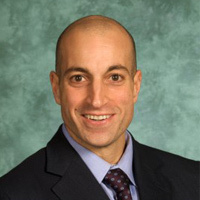 He leads a clinical research group with interests in joint preservation after injury, the genetic influences on bone and tendon disease, prosthetic design and performance and outcomes measurement after hip / knee injury, degeneration and surgery. He is Editor in Chief of the Bone and Joint Journal, and is on the editorial board of The Journal of Arthroplasty, Annals of the Royal College of Surgeons and Hospital Medicine.